The first thing you notice at Tacos El Unico is the bulletproof glass seperating you from the cashier and the kitchen.The second thing is the armed security guard next to the salsa bar. The University of Southern California is down the street but you’re more likely to find a travelling band of winos than you are to run into any college students at this taqueria. I ordered carne asada and al pastor and a tamarindo. The agua fresca machine was on the outside of the glass which meant you could refill your tamarindo as often as you like. I did an experiment to see if because of the barricade I would become greedy. I did. I drank down my tamarindo right away and refilled it even though I would normally not do so and i took 5 salsa rojas! hah! I had the choice of eating my tacos inside with winos or outside with the birds. I chose the birds. As for the tacos, the carne asada was surprisngly good, very lime fused and soft. The al pastor a little dry but passable. Both tacos pushed over the top by the excellent spicy salsa roja. The birds were pesky though. I threw some corn tortilla to each bird and then another bird showed up. Pretty soon I had about 10 birds around me. I didn’t want to lose them so I kept feeding them bits of tortilla.Pretty soon I had 20 birds, then 30 birds, then so many birds I lost count. But I fell in love with the birds, I needed them and they needed me too. They quickly annointed me "bird grand chancellor of tacos el unico". It was a unanimous vote except for one dissenting vote to which I quickly designated him an enemy combatent to the bandini throne and he was denied all tortilla rations. I was such a popular leader that other birds from other provinces came to honor me. I was a man of the birds and it was a triumphant time. My popularity was at an all time high and my birds chirped with nationalistic pride. But it was all a fraud ,my government was built on shaky ground and I had run low on chip rations. My electorate became unruly, they demanded too much of the Grand Chancellor..they fought over the corn chips, there were whispers of a revolt, that the Grand Chancelor was running out of tortilla rations. It soon became a reality that I could not feed all my birds,that they would overthrow me. I became tyranical, feeding my favorite and most loyal birds while shunning the rest of my population. But I was only buying time. I had to use extreme measures and extreme measures I did. With my extra cups of salsa roja and the remaining chips I began feeding my birds corn chips dipped in the spicy salsa . It was a frantic scene as one by one the bird populaton lined up for their corn chip ration and one by one they flew away in horror and anguish. Before I knew it all my birds were gone and my kingdom had fallen. The grand experiment had ended. 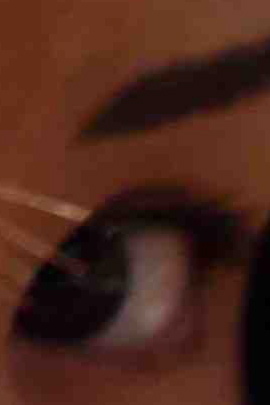 my birds had flown away,betrayed and unforgiving. Wow - that's really funny! I had a similar experience when I lived in San Diego and used to frequent this taqueria between my classes. over time, the birds would anticipate my visits and line up around the table, waiting to indulge in the chip feed. When all the chips would run out, my strategy would be to flee the table and only to return when I could rule once again. Serviceable asada, dry al pastor, above-average roja--that pretty much matches my TEU experience perfectly. When I'm coming back from 'SC after classes and I desperately need tacos, I'll sometimes hit it up despite the wino clientele and the gas station bathroom decor. Generally, though, I decide to let my appetite grow a bit so I can more fully appreciate the splendid offerings of Tacos La Flama or Taqueria Sanchez. Ah yes, Bandini—a lover of man and beast alike. I love the bird story. Love it. It's been awhile since I lived in L.A. (born Hollywood, raised Orange County, now a rancher in ID) but what about the salbutes at El Cochinito (on Sunset near Silver Lake)? Just because they're Cuban and called by another name doesn't mean they aren't some of the best tacos in the entire city. 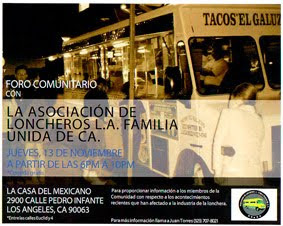 I remember when Tacos Unico was just a lonchero truck on the corner of Atlantic & Rosecrans. It was maybe 20 years ago and their tacos were absolutely the best. Since they've brached out their food isn't as good but their grub is still good. Just went there and had the Number 1 for a little over six bucks. Four carne asada tacos and a drink. No bulletproof glass, so that was a welcome to the ambiance. A little dead of a crowd around 2:00 pm, but no annoyances. Just sat and had my tacos, just came with tortillas and meat. The onions, cilantro, and sauce were at the salsa bar(security guard-less). I had the hot red and hot green sauce. Both were fairly good. Great place to go get some tacos, not quite King Taco, but when it's less then a five minute walk, it's hard to argue. Will try the cabeza, al pastor another time. 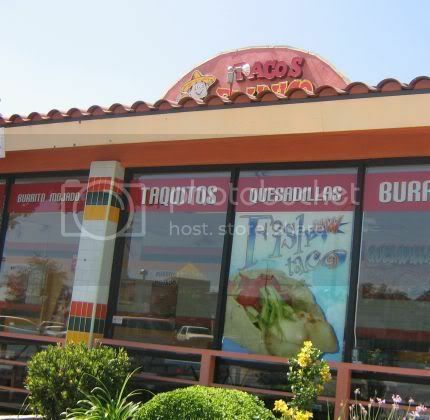 when i was a kid and used to live in S.LA, i used to go to tacos el unico very often. for me those were the best tacos ever... until i discovered king taco. recently, i visited a tacos el unico in lynwood and it has changed a lot. the asada was average, the salsa roja was good, and the tortilla was crappy. the tortilla tore while eating it and the meat fell on to the foil wrapper. 10 years ago iwould've given El Unico a solid "5" but now it's more like a "2.0" for me. Orale homeslice, love the blog. I live in Hawai'i now but every time I go "home" (Carson CA) my wife and I try and hit taco stands and REAL Mexican food joints. Anyways, I agree with your postings on Taco El Unico. Funny thing, my brother in law (who is a through and through) Mexicano LOVES this place. He took me to the one in Comptone and I was sorely dissapointed. First off the winos there bother you and it totally ruined my experience. Second off, ordered the al pastor and expected to see puerco cut off the spit but instead IT WAS PULLED FROM A HOT PLATE and seared a la plancha!! What the heck!! Where was the spit, the pineapple, the pastolero??? Anyways keep doing what you're doing and eat plenty of tacos for me. Aloha!! I used to love Tacos El Unico, but they ended up getting to greety with their meat. I found out that the owner doesnt uses the same meat all the time, he buys what ever meat is out there for cheap. If it is crapy meat he doesnt care as long as it doesnt cost him, but he sells his tacos for the same price. He is all about making money and he doesnt care if he gets his customers sick. King Taco is the best. Quality and their salsa the hotest. You should Only eat tacos el unico fridays and saturdays, everyone knows that!!!! sunday through thursday they lag it..
King taco is ok , but no where near unico's distintive flavor. Tacos are the best , don't get me started on the burritos , which are even better!! The rest of their items I agree you can get elsewhere. But not the tacos or burritos ...ASADA only..
bullet proof glass is due to unico being a weekend hang out for party goers for food. We took your comments to heart and since then have remodeled the entire restaurant. If you have a chance you should stop-by again. It looks a lot better. Hopefully the Interior matches the taste of our food. Let me know, I would love to meet you in person. 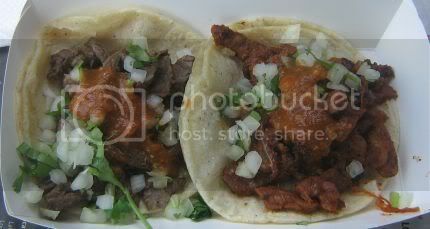 Try your tacos with www.stvendors.com and increase your sales. I take your tacos home and make them awsome with this seasoning.